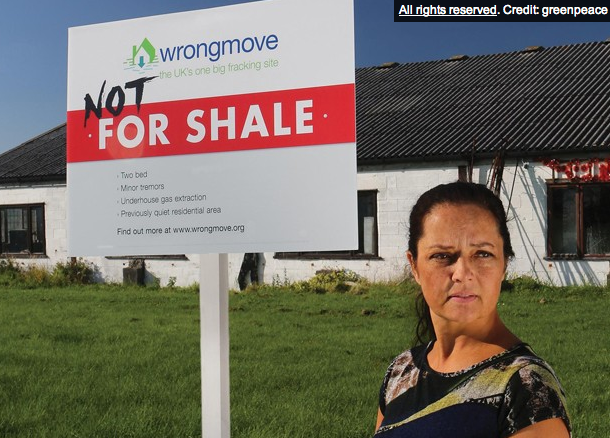 The Government faces widespread opposition to plans to change trespass laws to allow shale gas companies to drill under homes without the owner's permission, a poll has revealed. A YouGov survey of 1,898 people found that 74% opposed the controversial move, which ministers are considering as part of efforts to drive a “shale gas revolution” that could see fracking across the UK. More than 45,000 people around the country have joined legal moves to block energy companies from fracking under their properties, but a change to the trespass laws could allow companies to explore for shale gas without needing their permission. The HomeOwners Alliance joined Greenpeace and other organisations such as RSPB and the Wildlife Trust in writing to the Prime Minister urging him to back the rights of local people to refuse access to companies which wish to drill for fossil fuels underneath their homes and land. The letter warned that changing property rights at a time when more than 60% of the country could be opened up to exploration of unconventional fossil fuels would further erode public trust in the Government’s approach to fracking. We also criticised recent changes to the law which have removed the requirement for drilling companies to inform homeowners, landowners and tenants directly of plans to drill below their property. Taking away the property owners’ right to refuse drilling would allow companies to drill without either notification or permission. Transparent estate agent fee – how much did you pay?